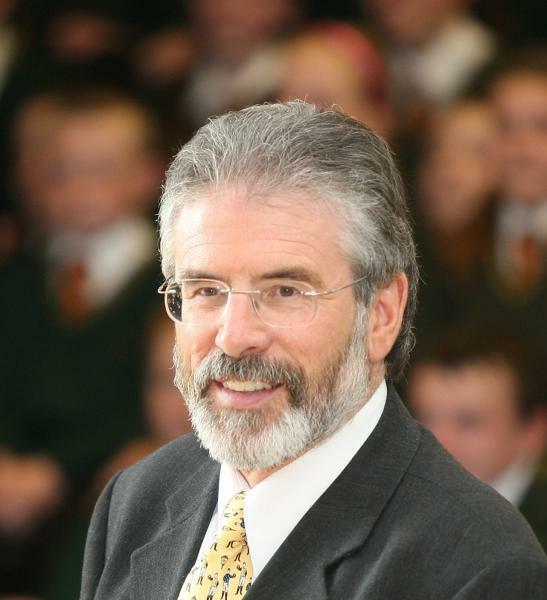 Victims Blog : Ann Travers : Gerry Adams court case, memories and pensions. | Vixens With Convictions! Home › Uncategorized › Victims Blog : Ann Travers : Gerry Adams court case, memories and pensions. Victims Blog : Ann Travers : Gerry Adams court case, memories and pensions. The last number of weeks have been tough one for victims in Northern Ireland. If you have lost someone or part of your physical self in the “troubles”, or if you have been emotionally or mentally affected, then it can’t have been easy. I can’t imagine what the Mc Conville family have been through, or how they have managed to deal with recent events, and I only hope they realise the very genuine and real support they have across the board. Despite the usual whataboutery, not one lost life is more important than another. Every time I hear about what a family has been through I feel a great sadness. I know many more feel just like me, it doesn’t matter what “side of the fence” you come from, none of it should ever have happened. But it did, and we need to find practical ways to help those who have suffered. It can be quite hard for victims to hear news at times, because it can raise anxieties, bring back memories, trigger flashbacks, and invoke tears. It was evident that Gerry Adams arrest in connection with the murder investigation into Jean Mc Conville cast up many different emotions, and triggered many views. Some were thrilled, others devastated and indeed affronted that “their leader” could be questioned about a 42 year old murder of a widowed mother of ten children. Indeed Gerry’s own thoughts were carried live on television after his release, where he denied any involvement in connection with the murder. Because of the shooting, the court case against Mr Adams was adjourned until the 12th April 1984, yet it never reached a conclusion. Just four days before Gerry Adams’ court case was to be heard by my father again, on 8th April 1984, my Dad, Mum and sister were attacked by the IRA. My father was seriously injured, and my sister murdered after gunmen opened fire at point blank range. Gerry Adams obstruction case was to be subsequently dismissed and never reheard. The reason given for this was that evidence had been given in front of Dad – and because he was off work sick after being shot, evidence wouldn’t be re heard by another magistrate. We have no way of knowing for sure if things would have been different had the case been heard. I did discuss it with my father, but legalities prevent me at present from going into detail. And we have no way of knowing for sure if my father would have come to the attention of the IRA had he not heard the obstruction case. Most of his previous cases were hearing low level criminal charges. So, Mr Adams arrest last week brought back memories of a different kind for me…..
On Thursday morning, I switched on the radio and listened to the headlines on Good Morning Ulster, that the Victims Commissioner Kathryn Stone was reported to have suggested pensions for those seriously injured during the conflict – including terrorists. The language here would do nothing for the widows or children sitting at home. Instead thoughts would be conjured up that once again those who had created widowed and orphaned victims were being equalled to them. All I could feel was immense sadness and fear. Sadness because over the past few years and during my time as a member of the victims forum I have had he immense pleasure of getting to know some of the nicest people I have ever met. Included in this group are people , whom I like to call friends, who have lost limbs and been left paralysed. They are immensely brave, determined and Christian . These individuals mostly live on state benefits because their ability to work was robbed from them when a terrorist planted a bomb or decided to attempt to steal their life by shooting them and leaving them paralysed. They are incredibly independent , as far as they can be, but as they get older their needs grow. I cannot and will not stand in the way for a pension for those who were severely injured. Yes, there may be terrorists who injured themselves who may get it, or as the victims commissioner suggested legislation may be brought in similar to the criminal compensations board , either way I don’t care. All I care about is that those severely injured victims who have fought so hard aren’t left feeling as disheartened as the McConville family were. As indeed so many of us are as the daily drip drip off retraumatising information comes through. Yes, I do believe there is a moral hierarchy of victims, however all have families, all suffer the same. Morally I can’t and won’t speak against the pension for seriously injured. They have been through enough. They need our support. Another 10 years of arguing may only mean there are fewer to claim the pension. It won’t improve their quality of life, it won’t bring back their limbs, it won’t bring back our loved ones. I fear that because victims have been treated so badly, and don’t know who to trust, that our fellow “victims and survivors” may suffer, and they simply don’t have time to wait for us to sort out who is a victim. They need their pensions now. Please politicians, please do something. Do not let our memories and personal feelings get in the way of those who need our help. They deserve better. ‹ Jean Mc Conville : The dogs on the street know who did it. Maybe its time for families sue the godfathers all sides. After all they are the problem, while they live lavish life. Hit them for a change- were it hurts their pockets.